Our exceptional, friendly staff is our greatest asset. They are professionals who pride themselves on staying on the cutting edge of dentistry and patient communication. They are excited about what they are doing, have high standards of quality and integrity, and are motivated to achieve the best results for our family of patients. 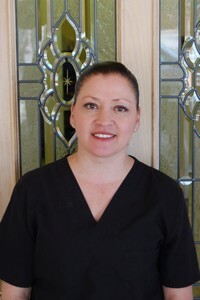 Since 1989, I've worked in the dental field, starting my career in Periodontics. through the years I have found that the Dental field is my passion. I love working with the patients and helping people love there smile again. I am the Office Administrator for Harmony Dental Practice and have been here with Dr KO since 2009, I love being part of Dr KO's team. His chair side manner works for both the young and old, which is why my family are all his patients too! I'm a wife, a mother and grandmother, My husband Eddie and I have lived in Palm Springs for more than 30 years, enjoying all the desert has to offer. I cant wait to meet you. 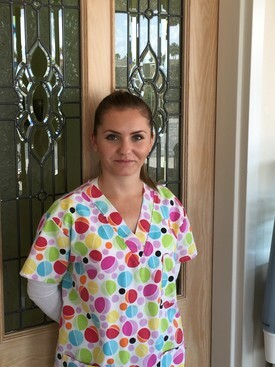 I'm a graduate of Kaplan College, I have been at Harmony Dental For over 3 years. I love the Office and most of all I love the Patients. Dr Ko is a great Dentist and he truly cares about all of his Patient. I have a 6 year old son and have I have lived in the Desert my whole life. I look forward to meeting you.